It was sunny warm day today. BUGAKU was performed on stage at MEIJI-GINGU shrine. 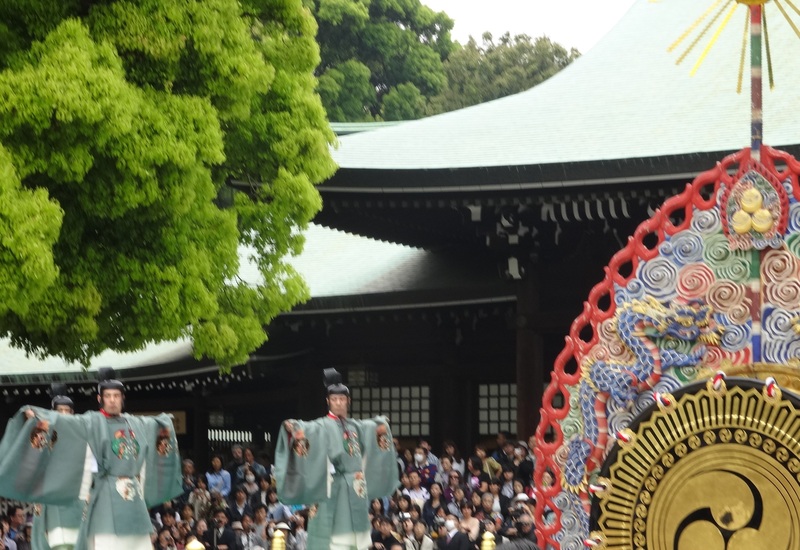 BUGAKU belong to the genre of GAGAKU, which is a form of ancient court music. 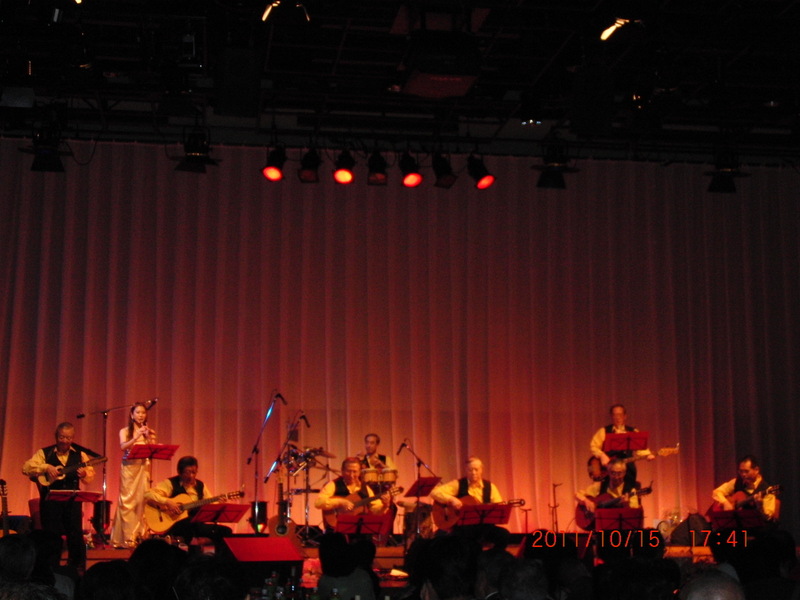 The musical composition was modeled on ancient music and dance. 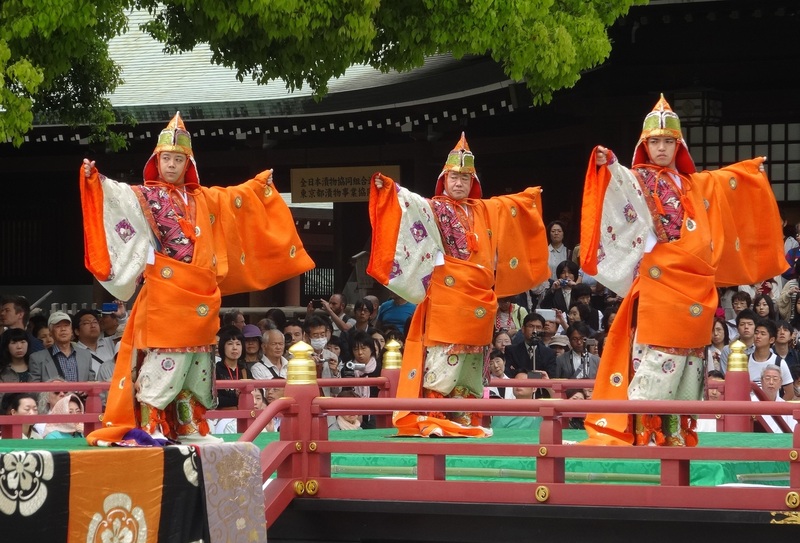 GAGAKU flourished in the HEIAN period and is still being performed at the Imperial Court, shrine, and temple in Japan. GAGAKU with dance is called BUGAKU. 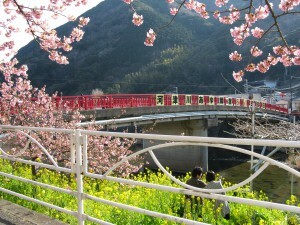 Spring Grand Festival hold from April 29th to May 3rd. I hope you have a time to visit. 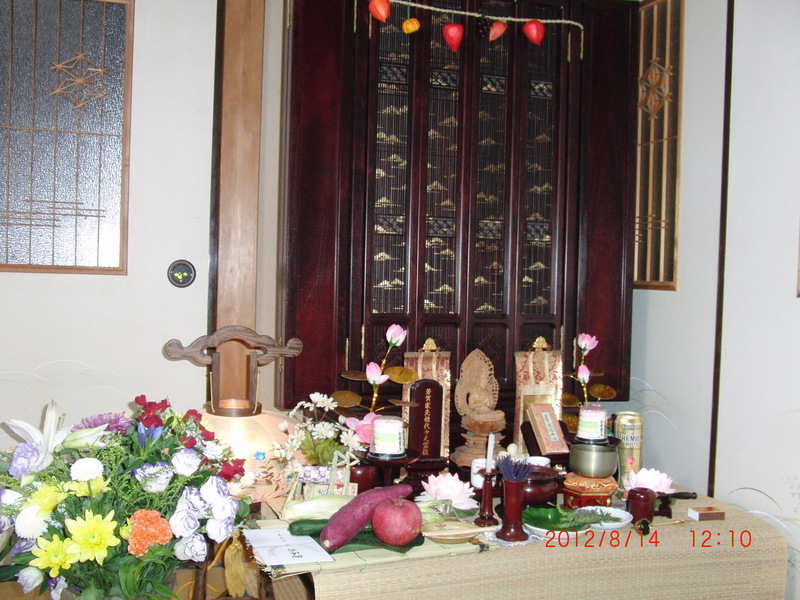 OBON is a Buddhist memorial service for the ancesters and deceased family members. 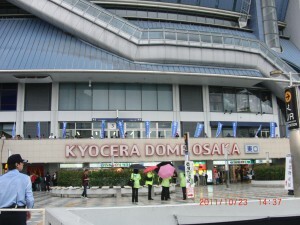 It’s held from the 13th to the 15th of July or August. People visit the family grave, offer flowers burn incence sticks for prayer. 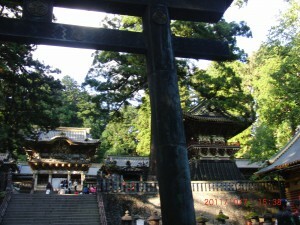 It is said that during the period, spirits of the dead return to their families. 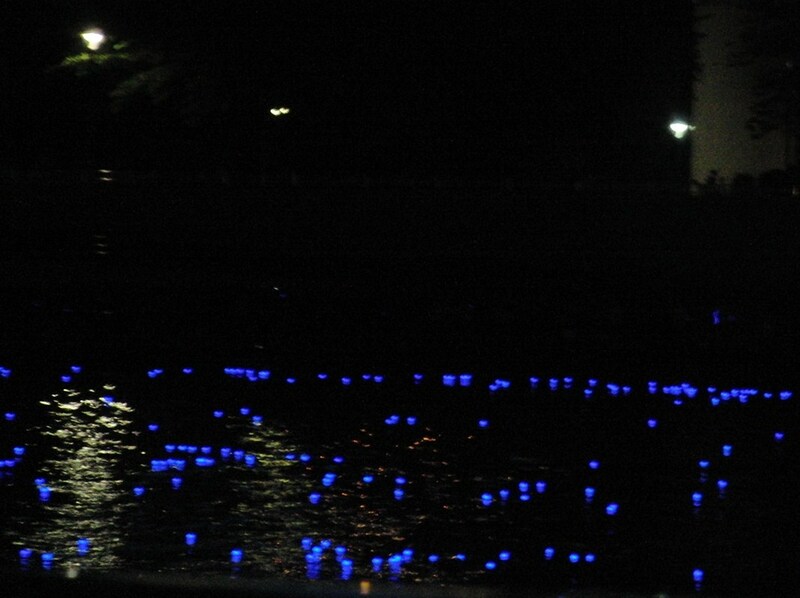 There were so many people who admired the beauty of Tokyo HOTARU as well as Tokyo Skytree. It was wonderful. 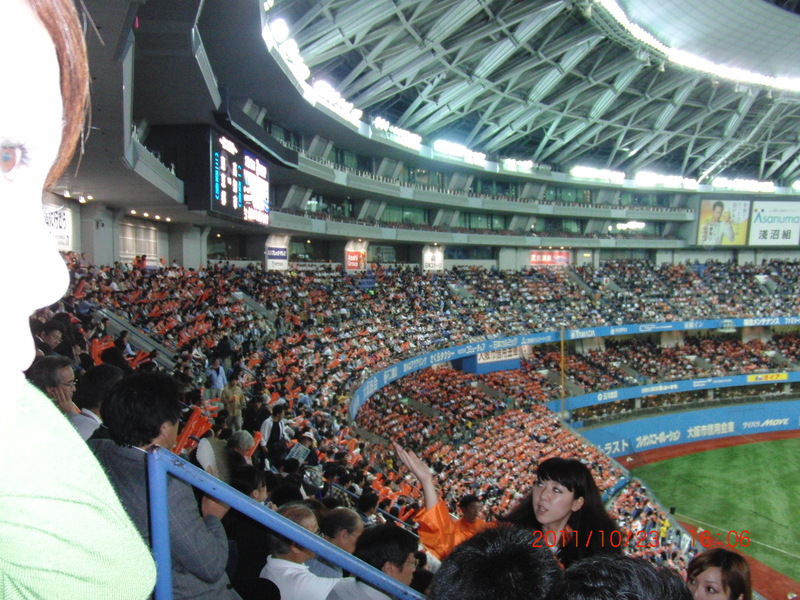 At first,I couldn’t find the place to watch since there were so many people. So I ride on a train which runs over the river. It was also fun. If you missed the chance to watch yesterday, please come and see next year . There are so many nice restaurants near by which provide customers very tasty dishes with reasonable price. 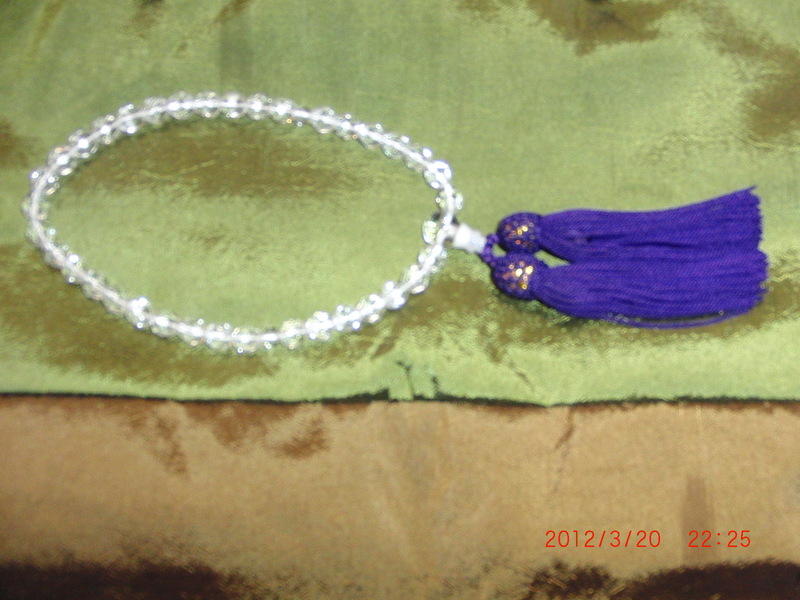 My Juzu was presented from my mother. I like the color very much. It’s vernal equinox day today. 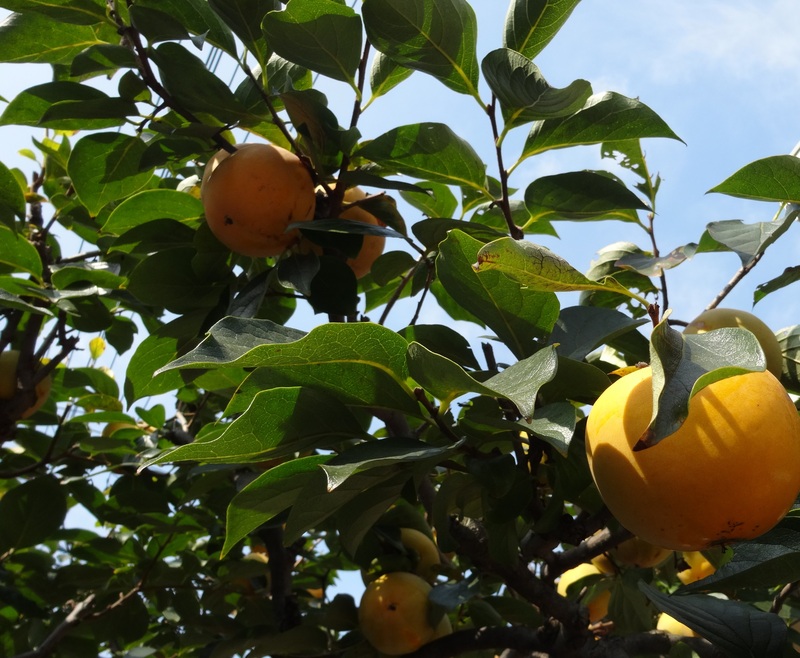 Centering around the vernal equinox day are called HIGAN. We visit our family graves to show our respect for our ancestors. 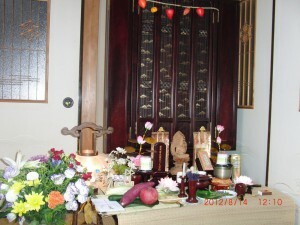 Family members are gathered on that day to keep relationships. We have big dinner together. I attached the picture of my Juzu:Buddhist rosary. When we pray, it’s held in our hands. 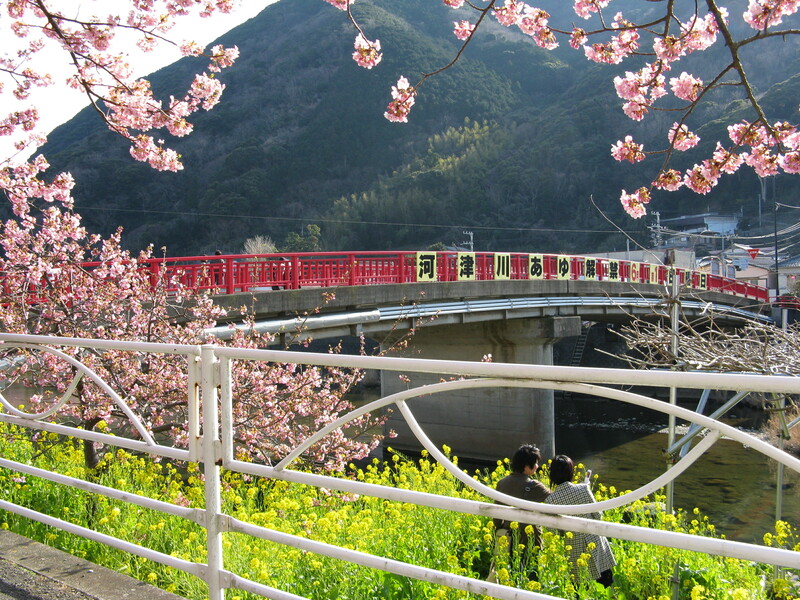 KAWAZUZAKURA in IZU peninsula Shizuoka prefecture is now blooming. 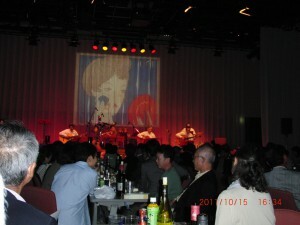 The schedule of festival was from Februaly 5th to March 10th. 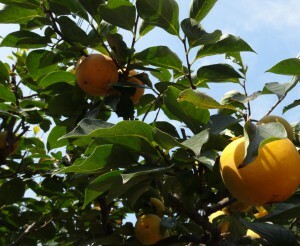 However couse of unusual cold weather of this year, we have no flowers one month ago. One of my friends complained that she couldn’t enjoy the tour, though she went by bus tour. 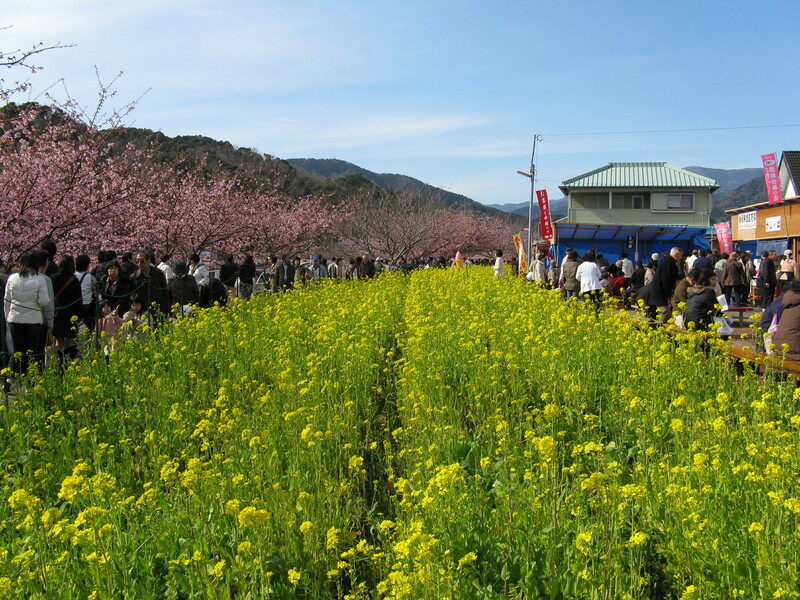 We were longing the flower, it is the time for KAWAZUZAKURA viewing now. If you have a time, would you like to visit. 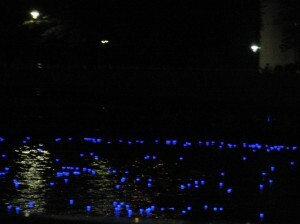 You can also enjoy many local foods which are sold at stands along to the river bank. 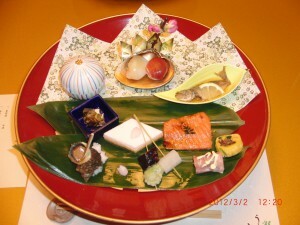 For celebrating girls day, my friend and I had special dishes. Traditionally, Kaiseki-ryori is the meal served prior to a tea ceremony. Today, it can be enjoyed at restaurants specializing in these dishes. This picture was taken last year. 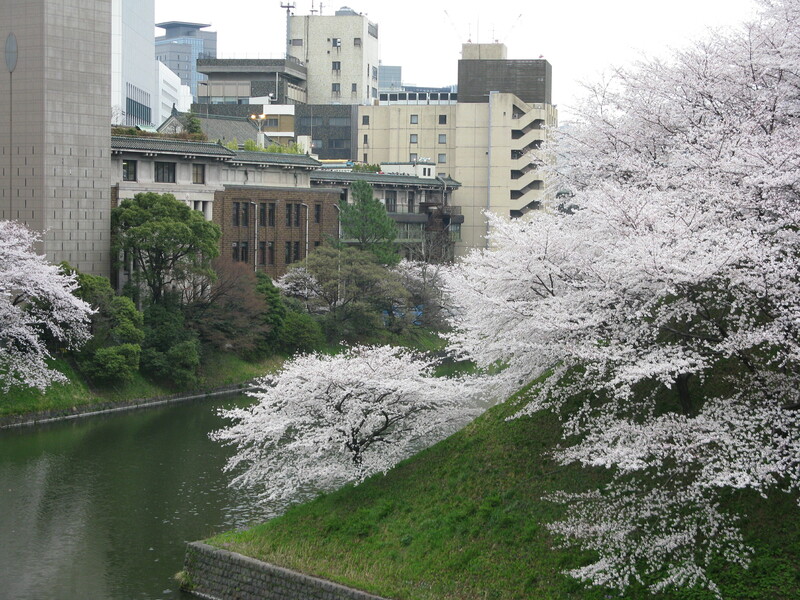 I can’t wait for Cherry Blossom viewing. The end of March to early April will be the season. INATORI in Shizuoka prefecture was once a fisherman’s village. The people lived there couldn’t afford the formal set of Hina doll. So they made dolls by themselves from their daily clothes. 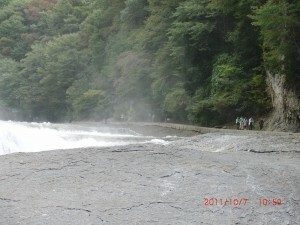 It is called TSURUSHIBINA. 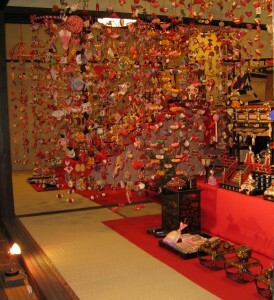 Nowerdays TSURUSHIBINA is displayed along with the formal set of Hina dall. It is absolutely gorgeous and beautiful. How beautiful our Mt. Fuji is. 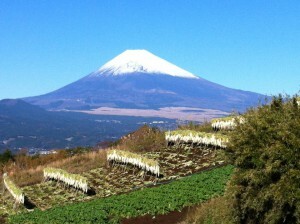 With the height of 3776 meters Mt.Fuji is the highest mountain in Japan. Its almost perfect cone shape is world famous for its beauty. This is the view with radishes which will be made pickled radishes. I’m a Junya Tanaka fan. He’s Japan’s Kashiwa Reysol midfielder. The team won against Mexico last night. Japan is best 4 now. 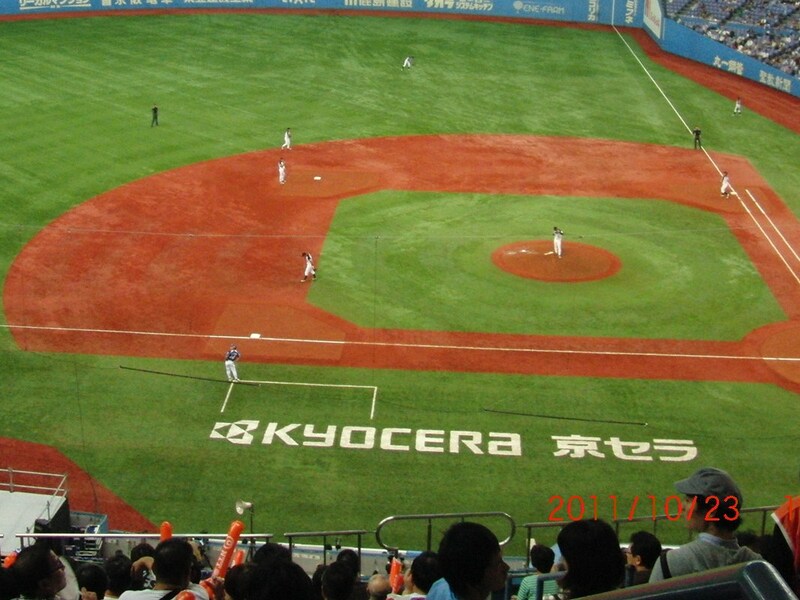 TOSHITAIKO YAKYU : baseball tournament which has 82 years history is holding in OSAKA at Kyocera domed stadium. 32 teams which represent regions are playing to be the champion. 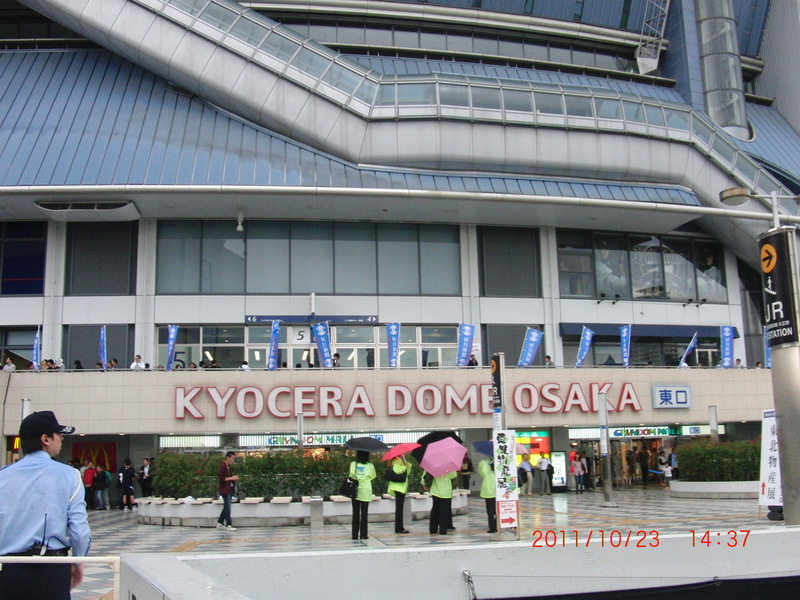 The final game will be hold November first from 6PM. 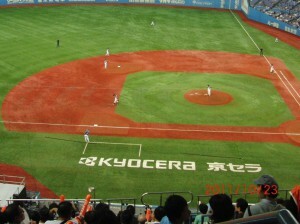 The champion will play World Baseball Challenge. Watching baseball is fun. I also looking forward to WBC. The studiam is located near Taisho station by Kanjo line. So many people were cheering. I was one of them. 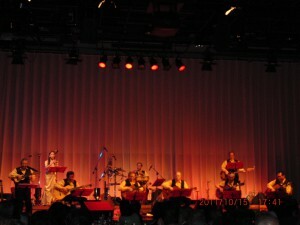 Uncle Notes Live Concert 2011 has been successfully praised at KFC hall RYOGOKU yesterday. 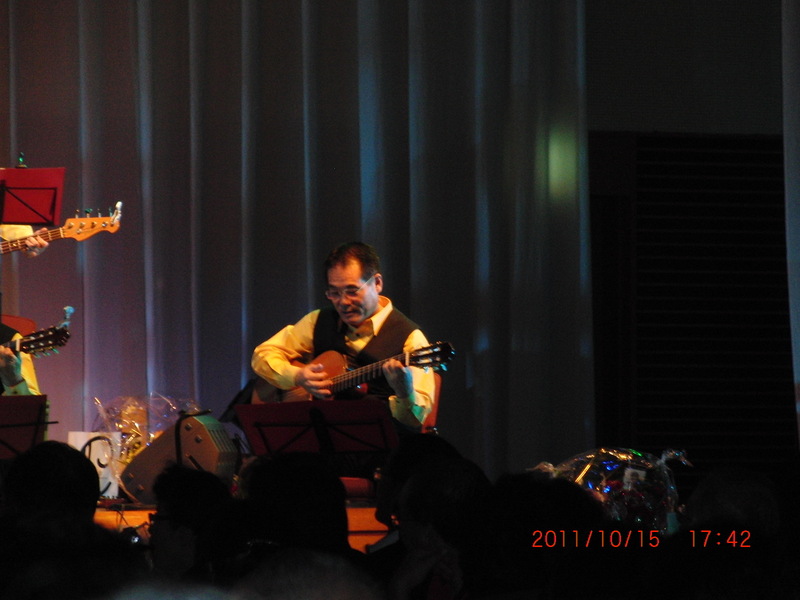 It was their 15th commemorative concert. The group: Uncle Notes consists of 8 members who has been enjoying guitar since they first met when they were students. 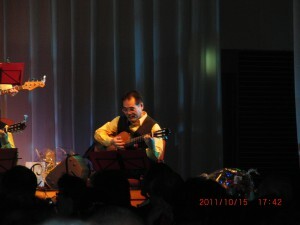 The musical performance was favorably received by more than 200 audience. The more they play, the more audience exited. People dance to the music. So did I. My favorite are Quizás, quizás, quizás and coffee rumba. I had a wonderful evening. I’m very looking forward to next year’s concert. “Music can keep friendship. I met a lot of wonderful people through music. I also thank to all people who kindly came to the concert today.” Yumiko Obata one of the member’s wife said. YUMEJI's YOIMACHIGUSA was also performed. It was a fun night. NIKKO is located about 180 kilometers north from Tokyo. 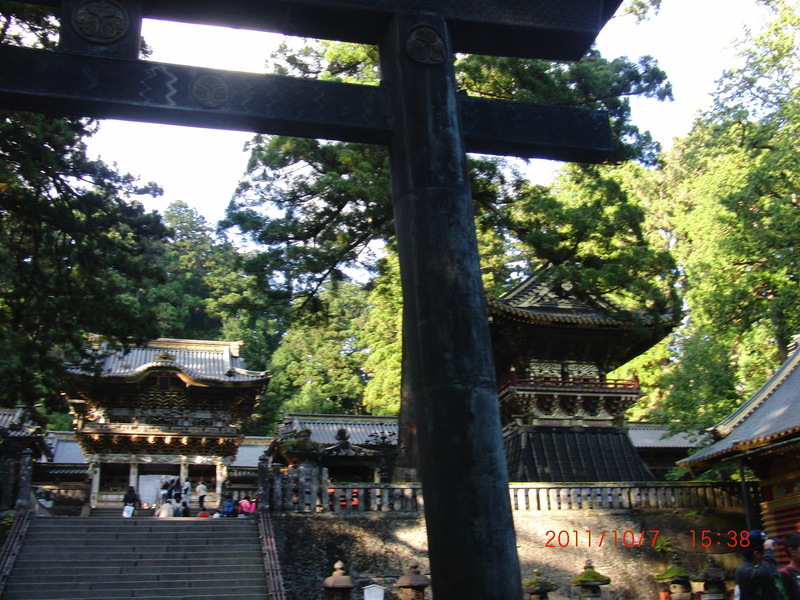 It is famous for the elaborately constructed Toshogu shrine dedicated to Tokugawa Ieyasu who is the first Shogun of the Tokugawa Shogunate. 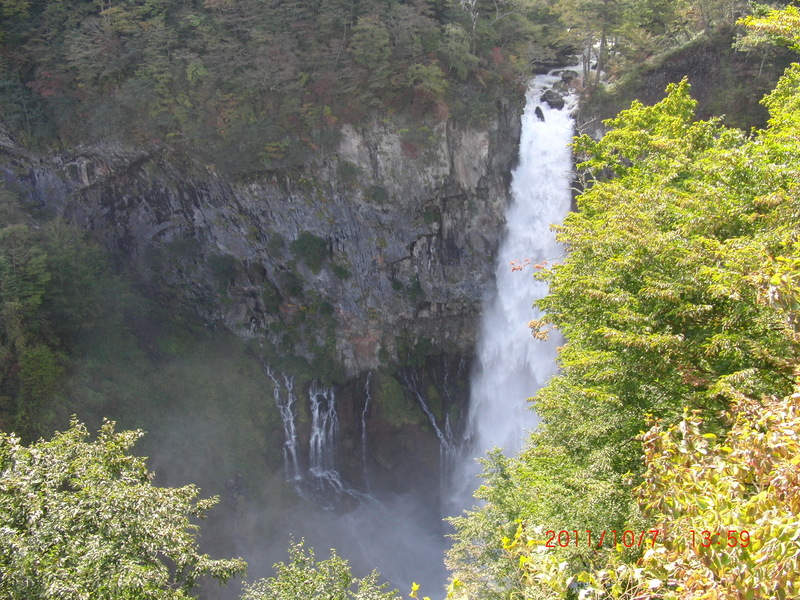 There are also many beautiful falls. 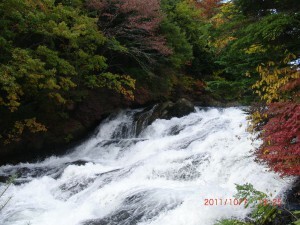 Autumnal colors are so beautiful in NOKKO this time of the year. SYUUBAKUGA is Mitsuko’s original art which was given a patent in 2006. 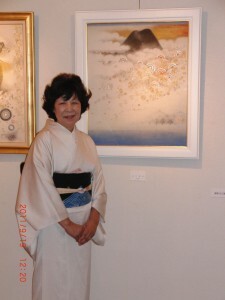 The combination of Japanese embroidery and SUMI painting is amazingly beautiful. 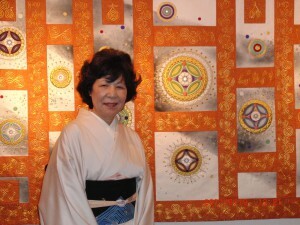 Her arts are favorably received not only in Japan but also in America, Korea, China and, France . She ‘s been holding a lot of exhibition in abroad as well as in Japan.She was invited to France for the exhibition : HARINO SAITEN . I really enjoy her masterpieces at National musium in Roppongi, Mitsukoshi Department store in Ikebukuro, and Senbikiya Art Garely in Tokyo, and more and more. 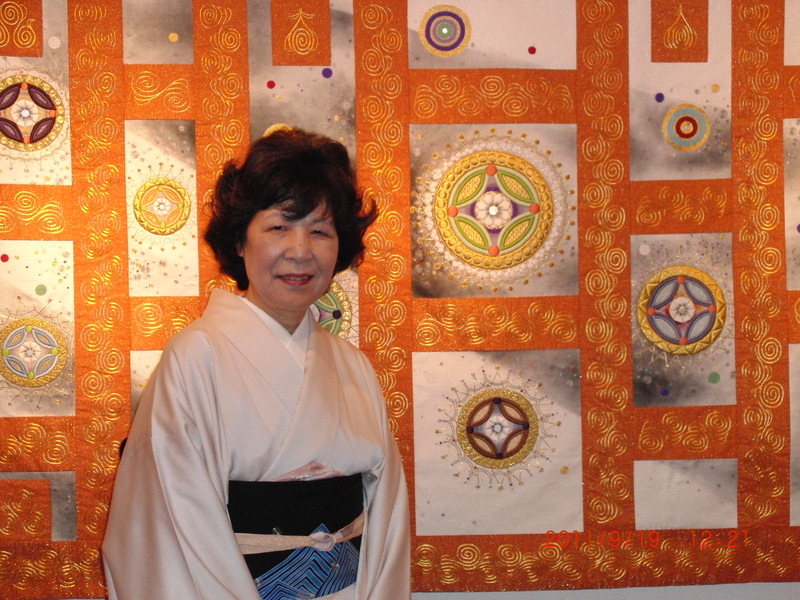 Mitsuko Arita said that I always thank to be given a life. Having hope, courage, modesty, love in heart , life is wonderful. 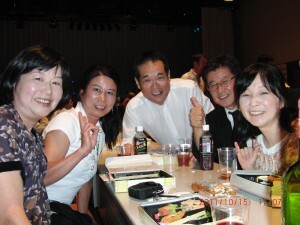 If you are interested, you can attend the trial lesson at ASAHI culture center.